We often get connected to dozens of Wi-Fi networks in school, college, workplace, cafeteria, friend’s and family’s houses. Each time when we type a Wi-Fi password, our device keep it safely for ease of access in future. But we cannot see the Wi-Fi password that our device has stored. In case, if we want to connect any other device to that network, we often face the issue in absence of the password. This article will help you to get your saved passwords by following some easy steps. Let us see how to find wi-fi password from different devices. How to see Wi-Fi password in Windows 10? If you don’t remember your Wi-Fi password, you can easily find it out if you have another Windows PC already connected to that Wi-Fi network. Once you will get the password, you can use it on another PC or devices to connect to your Wi-Fi network. Let see how to find the saved Wi-Fi password for your active Windows wireless connection. Step1: Click on Windows button at the bottom left corner of your PC. Step2: Click on Settings, the second last option in the menu. It will open windows Settings for you. Step3: Select Network & Internet option there. Step4: Find and click on Network and Sharing Center option there. It will open Network and Sharing Center window for you. Step5: You will see all your active networks there. Select your Wi-Fi network. Wi-Fi Status window will get open. Step6: Click on Wireless Properties button there. Step7: Wireless Network Properties window contain two tabs: Connections and Security. Click on Security tab. Step8: Check on Show Characters checkbox. It will show your Wireless Network Password in Network Security Key box. Now, you have your Wi-Fi password. Connect your other devices with your Wi-Fi and enjoy your internet connection. 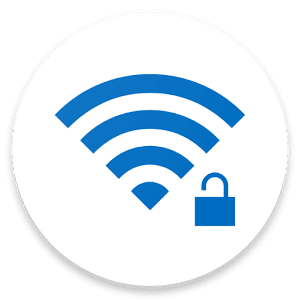 How to find Wi-Fi password in iPhone | iPad? We can see Password of a Wi-Fi network you already connected on iPhone. It is based on hit-or-miss method but there is no harm in giving it a try. Look at our tip to see how to view Wi-Fi Password saved on iPhone or iPad. We are going to attempt to find out the IP address of the Wireless router. After that we will login to its settings to see the router password. Step1: Go to Settings of your iPhone. Step2: Open Wi-Fi tab in Settings. Step3: Tap on the Circular “i” info button just next to the name of your Wi-Fi. Step4: you will get IP address there. Copy IP address just next to Router. Step5: Open Safari browser and put the IP there. After pressing enter, you will see login section of the router. Step6: Attempt to login with default username and password that is admin/admin. You can also search for default user/password for the specific router model. Step7: Once you are in the router settings, you can easily navigate around to find the option to access the Wi-Fi password in plain text. The location of the setting may vary depending on your router. You can easily find this setting under "Wireless Setting" or "Wireless Setup". How to find out Wi-Fi password in Android? Each time when you typed in one of the Wi-Fi passwords, your Android device saved it for safekeeping and easy access in the future. The only problem is that if you want to connect any other device to the network and you don’t remember the password, you can’t see on your android device. The original settings on Android don’t actually allow this, but if you have root access to files in your Android smartphone, you can find the Wi-Fi password. We will show you how to do that. Step1: Open ES File explorer, go to a directory named data. Step4: you can see all network SSID and passwords saved in your device there. Copy the required network SSID and password and close the file without any alteration. If that file will get edited, you will face problem with Wi-Fi Connectivity then. As we have to open a system file on Android, we need root access to files. We cannot use the built-in file explorer on the device for this purpose. If you don’t have ES File Explorer, there are so many apps available in Play Store for this purpose. You can download WiFi Key Recovery or WiFi Password Show apps available in play store. If you don’t want to root your device, you can use any genuine app from play store that can have root access to your system files. The file named wpa_supplicant.conf contain all the saved password. This file is, generally, not accessible for safety purpose. After reading the article you will be able to find out the Wi-Fi passwords saved in your device and easily connect your different devices with the same network. Must share your views about the article. Visit our Tech-Blog for more informative and technology related blogs.